Home > Questions-Answers > What causes migraines? Migraine headache are considered a “Primary” headache type. 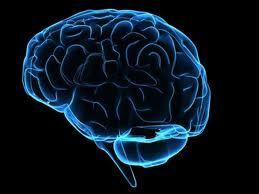 This means that it is not caused by or is secondary to other medical conditions, such as head trauma or brain tumors. Migraine is cause by a complex cerebral phenomenon. There is an electrical perturbation of the brain and an abnormal inflammatory response. Migraine is an abnormal state of the brain that is different but could be compared to epilepsy. It is hard to vulgarize migraine mechanisms because many brain parts and many brain chemicals are implied. Throughout a migraine crisis, there is inflammation around brain covering blood vessels and nerves. To get an idea of what inflammation is, think of sunburn; it is red and hot (blood vessels are dilated) and there is pain (blood vessels and nerves are irritated). There is also an activation of the brain system that transmits and interprets pain. Pain is usually a protective reflex that permits avoidance of dangerous stimuli and gives time to our injuries to heal. In migraine, the electric brain system that transmits pain is bypass and spontaneously activated. Pain is then more harmful than useful! Inflammation around blood vessels explains why anti-inflammatory drugs (aspirin, ibuprofen, naproxen, etc) are sometimes efficient to relieve the migraine. Nevertheless, sometime they are not sufficient because as we said, there is also an activation of the brain system that transmits and interprets pain. Triptan (rizatriptan, almotriptan, etc) is a drug family that has been conceived to overcome the spontaneous activation of the pain system. They work most of the time but they need to be taken before the fire of inflammation is emblazed! Also, there is still missing puzzle pieces in our knowledge about migraine mechanisms. For example, we still don’t know what is the first abnormal step that activates migraine! One thing we can affirm is that there are genetics predispositions to migraine. Precise genes have been identified for some subtypes of migraine. Research is pretty active in the field of migraine and promising new drugs will probably see the light of day in the next few years. Another thing we are sure about is the fact that some situations are link to migraine: aura, menses, alcohol, fatigue, stress, neck pain, strong odors, etc. These situations bring us tips about the causes of migraine. We think that these triggers disrupt electrical and biochemical equilibrium of a hypersensitive brain predisposed to migraine. Often these triggers combine to induce a crisis. After all these explanations, it is important to keep in mind that migraine is a physical disorder that can be exacerbated or activated, but not caused, by psychological issues. Hello my name is Margaret Bailey and my husband suffers from migraines. This spring season has been the worst ever. Is there an association between allergy season and migraines?